You may look good on the bow of the Infinity. Any more titbits of info since yesterday's DR4 comments? That took me a lot longer to spot than it should. DAMN YOU COLORBLINDNESS! That little Chief and Bomb falling out of the train had me LOL'ing. Oh man, can I get onboard this hype convoy?? Can I fit in somewhere? Looks like an angry opposable thumb. Make it longer. Tilt it up a bit. I wish it were just a tad longer. And maybe have something being cut inside those gnarly claws. Sign me up for the hype train. Also that scorpion king gif is down right incredible. Gears 4 is Oct 11, so end of Sept is a bit too close. I imagine Halo Wars 2 and Sea of Thieves will be November. Forza Horizon 3 is probably Sept or Oct. I'd like to see ReCore in August or early September so it gets just a little bit of room before the bigger, well know franchises release. SoT will be August I think, Rare Replay came out then and it done pretty well for them. My prediction, can see Recore and SoT being swapped for Aug/Sept spots, but Rare will go August I think. Get out far ahead of Destiny since it's the same type of game. I wouldn't mind a 343i developed Perfect Dark. Would be pretty badass. Huh. What was Roland's sword called? 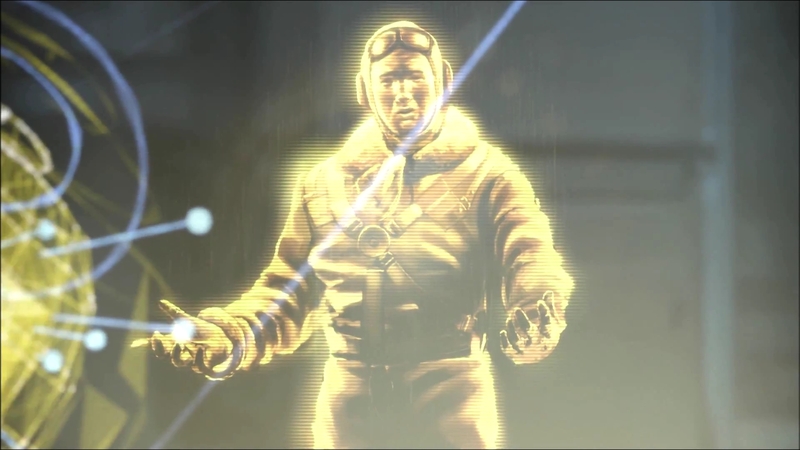 Roland appears as a hologram. Major Nelson was discussing the Halo 5 Turbo Warzone mode on "This Week on Xbox" which came out today. Turbo Warzone means you get the REQ levels much faster, and as he was explaining it how fast you get the REQ levels he said "time to Scorpion is very fast", drawing a parallel to "time to kill". But why did he say Scorpion? He could have used any other vehicle or weapon that can be unlocked with REQ levels. I'll leave my hat on for now. What on earth is all this scorpion talk about? Edit: I'm dumb, I just got it. I thought it was related to Perfect Dark. Had to be done on purpose knowing the rumours. Xbox E3 memes and images are the best! It is a counterpart to Cortana, tho. Cortana-centric spinoff? lmao off, that's good...that's pretty damn good. He's just trying to get us to run mental Marathons.. Please add me to the train. That GIF is amazing. Excellent work. That would be amazing, but do you think that gives Rare enough time? Maybe just an expanded beta in August (I thought I read there is or was a private beta going on)? I think Crackdown MP beta is targeted for July? I think they could do an amazing job (and change PD to a futuristic spy thriller TPD). I'd love for them to make one mainline Halo per gen and one Perfect Dark per gen. Not happening, but I can dream. That seems really optimistic. I only see Gears 4 and Forza Horizon 3 as locks to come out this year. If you are right though, that would be iiiinsaaaaaane! What other announced AAA titles would that leave for 2017? Just Scalebound and Crackdown 3? There'd have to be some new announcements this E3 to let people know what else to expect in 2017. Recore was playable last year and was due out in spring. I think it'll come out this year. Could get delayed again but I don't think so. I mean, outside of Dishonored 2, it's kinda obvious we'll see all of those games at Microsoft's conference anyway. Xbox UK confirms obvious, crowd goes wild. I am kinda surprised Dishonored 2 is gonna be at MS' conference. Is Bethesda not doing a show this year?